The Government has confirmed that it is shelving plans to introduce a minimum price for alcohol, despite claims last year by David Cameron that cheap alcohol was fuelling binge drinking. 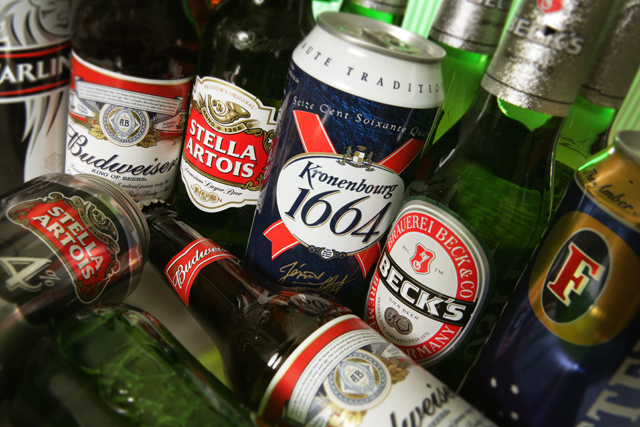 Home Office minister Jeremy Browne said in a statement to the House of Commons today there was a "lack of concrete evidence" that setting a minimum price per unit of alcohol would tackle problem drinking without penalising responsible drinkers. This comes after plans to drop the measure leaked out earlier this year. The move represents a significant volte-face for the Government. When the consultation on the policy opened in March, the Government’s position was in support of a minimum unit price of 40p. Back then, Cameron claimed it would mean "50,000 fewer crimes each year and 9,000 fewer alcohol related deaths over the next decade". The prime minster said: "When beer is cheaper than water, it’s just too easy for people to get drunk on cheap alcohol at home before they even set foot in the pub. Of course, I know this won’t be universally popular. But the responsibility of being in government isn’t always about doing the popular thing. It's about doing the right thing. "Binge drinking is a serious problem. And I make no excuses for clamping down on it." The news of the minimum pricing rethink comes hard on the heels of another Government u-turn affecting marketers, as last week the Government confirmed that it would not be introducing plain packaging for cigarettes. The scrapping of both measures has led critics to suggest they were dropped because David Cameron’s election adviser Lynton Crosby wanted ministers to focus on "bread and butter" issues such as the economy, immigration and education. Others had claimed Crosby was also opposed to plain packaging because his lobbying firm has long-standing links with tobacco companies. Today the prime minister strenuously denied that he had been influenced by Crosby, claiming he "personally" took the decision to shelve plain packaging for cigarettes. Responding to the news on minimum pricing, Andrew Cowan, country director, Diageo Great Britain, welcomed the decision not to proceed with "this ineffective policy". He said: "It would fail to deter problem drinkers and it would unfairly punish responsible drinkers."